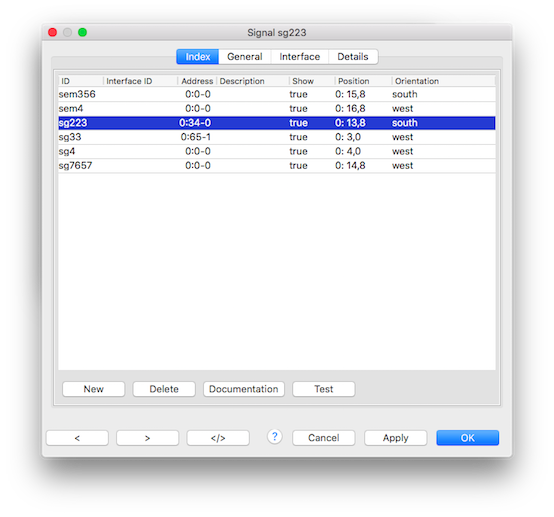 Opens the default HTML browser to show a listing of all signals for printing. This toggle button starts the selected signal internal test function to flip every second this signal. The button text will change to "Stop" after activating this function; Click on "Stop" to deactivate the internal test function.